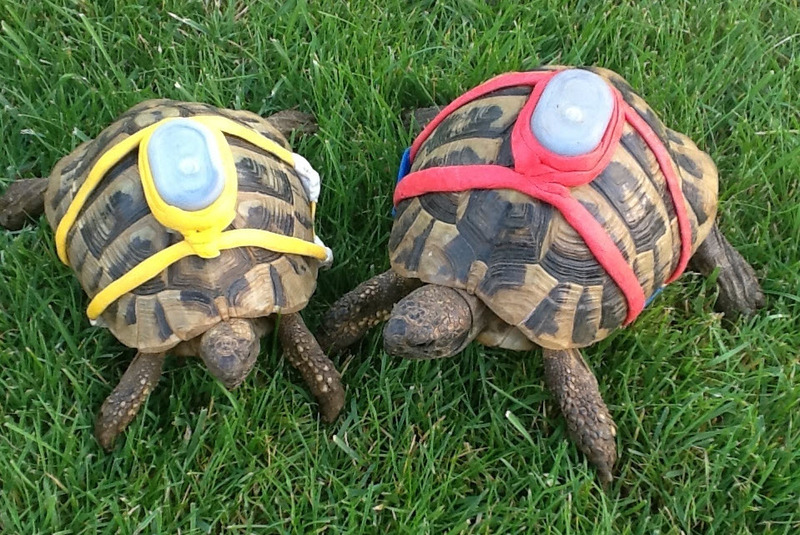 Use Sugru to make a harness for your tortoise’s tracker! Get a tracker to use to locate your tortoise. Wrap your tortoise’s shell with a layer of plastic wrap, then make a harness for your tortoise using Sugru. Put the tracker on the center of your tortoise’s top shell, and use Sugru to hold it in place and attach it to the harness. Allow the Sugru to dry, then remove the plastic wrap and put the harness on your pet as needed.